Facebook, Google+, Twitter, and other social networks help you stay connected with friends and family, but it's easy to overdo the connecting and end up distracted and unproductive. Worse, many social networks notify you every time someone tries to interact with you, making it even harder to concentrate on productive tasks. Turning these helpful reminders off can be tricky in some instances, but setting up a way to tune out mobile and e-mail notifications is well worthwhile. Here's how to stop your social networks from distracting you, so you can get your working life back on track. And don't worry--you can still peek at your Twitter page once in a while. The most disruptive and intrusive notifications in my life are the push notifications that my smartphone reports from various apps and social networks. Though I was initially excited to have access to push notifications, I quickly turned them off for almost all of my apps so that I could avoid being pestered by updates that tended to be pretty trivial. The process for turning off mobile notifications varies slightly from OS to OS, but it's usually not too complicated. Your best bet with an Android phone is to open the offending app, press the Menu key, locate the messaging settings under that menu, and select the apps that you'd like to turn off notifications for. Unfortunately, if you want to kill all of your push notifications, you'll have to do it manually in each app. Silencing your notifications on an iOS 5 device is both easier and more obtuse, as you'll need to navigate to Settings, Notifications to make the modifications. From there, select an app and set the 'Alert Style' to None. Once again, you'll need to go app by app to turn off all alerts; but they're all in one menu, so it shouldn't take much time--and blocking incessant alerts will help you avoid hours of lost productivity. Once you've muffled your mobile devices' alerts, you can turn your attention to removing annoying auto-updates from your email account. Turning off email notifications from Facebook and Twitter is a simple (albeit somewhat time-consuming) matter of finding and editing your notification settings in each service. To eliminate Facebook email notifications, select Account Settings in the drop-down menu on the upper right side of your Facebook page, and then select Notifications from the menu on the left side of the page, to bring up your notification preferences. Manually select each part of your Facebook account, and unclick each checked box to turn off the corresponding notification e-mail. 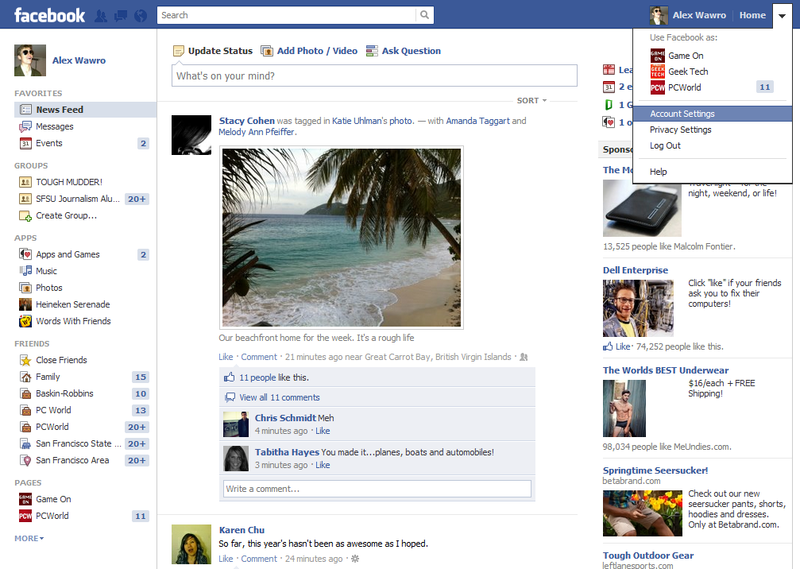 Facebook's incredibly granular approach to settings means you'll have to uncheck a lot of boxes on this screen, but the arrangement does let you control the email notifications you receive (so you can find out when someone posts pictures of you, but skip all the game invites), and it should reduce the amount of time you spend checking your email. 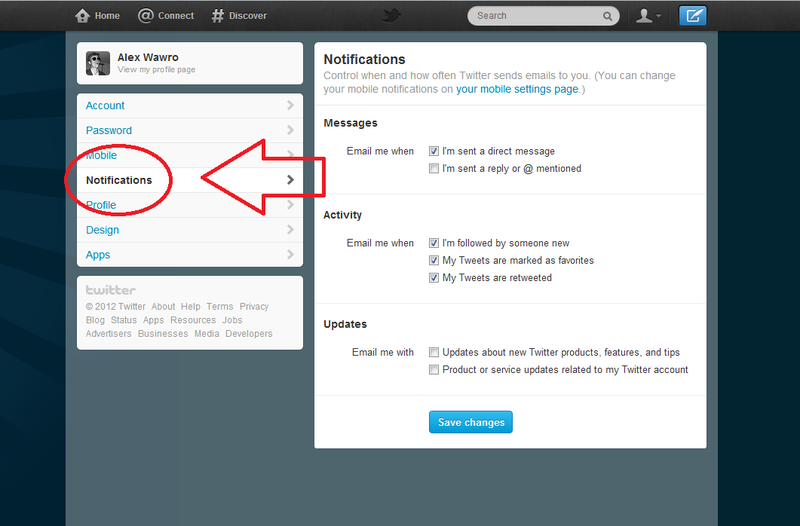 To turn off Twitter's email notifications about new followers, retweets, and so on, first log in to your Twitter account and select Settings from the upper right drop-down menu; then select Notifications from the new menu on the left. 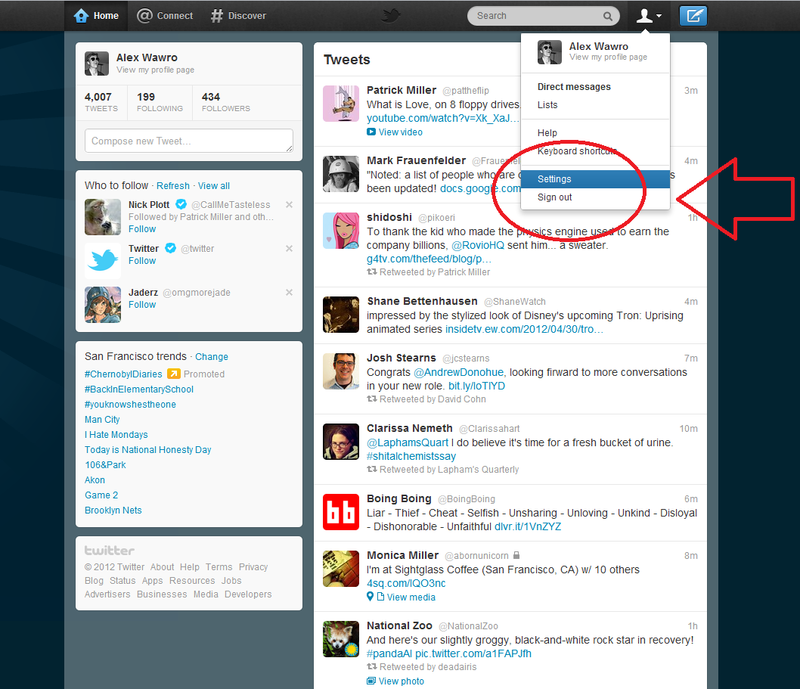 Twitter has far fewer settings here than Facebook has in its modification options area. Simply turn off the six notification options, and you'll be ready to go on your way. Is the bright red Google+ notification icon in the top-right corner of your GMail account distracting you? Regrettably, the notification toolbar in Google+ is impossible to kill from your Google settings, and if you're a GMail user you'll often find your eyes drawn to that bright red reminder. If you want to continue to use Google services without having to endure the Google+ notification bar, download Google Chrome and install the Hide Google+ Notification extension. If you've turned off all of your notifications but find that you still waste most of your day on Facebook and Twitter, it's time to accept that the problem might rest with you as much as with the sites themselves. If you can't help yourself, install a browser extension that blocks distracting sites automatically. As a Chrome user I prefer StayFocusd--a useful extension that completely blocks unwanted sites except during a limited time (the default duration is 10 minutes) each day. That way you can ensure that you don't miss out on important updates, without wasting your whole day on the Web. Firefox users should check out the similar Leechblock. Internet Explorer users are out of luck, and Safari doesn't have a real alternative either. But Mac users can try SelfControl, an OS X application that lets you create a blacklist of sites you don't want to visit and then blocks access to those sites across all browsers. Congratulations! By adopting these simple measures, you've taken a big step toward shutting out distraction and becoming more productive.